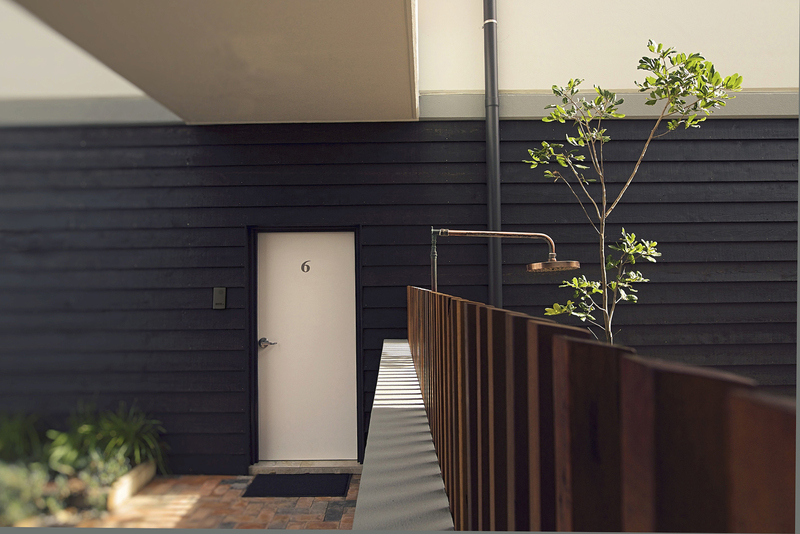 when we were approached to work with a significant site in south west rocks, we took it as an opportunity to define the local coastal architecture. the surrounding built context offered little in the way of quality precedents, so we looked beyond to the rich natural environment to drive the scheme. the design breaks the building envelope into two separate volumes which are manipulated in form and materiality, to maximises the interaction between the building and its natural setting, while providing a strong civic response to its significant location in the town. the eastern, north and western facades are carefully designed for views and passive environmental design, with operable elements allowing the apartments to open up or close down to favourable or inclement weather as required. extensive views are captured and framed, of trial bay and the arakoon national park to the east, horseshoe bay and the ocean to the north and north west, and pine forest of horseshoe bay reserve to the west. 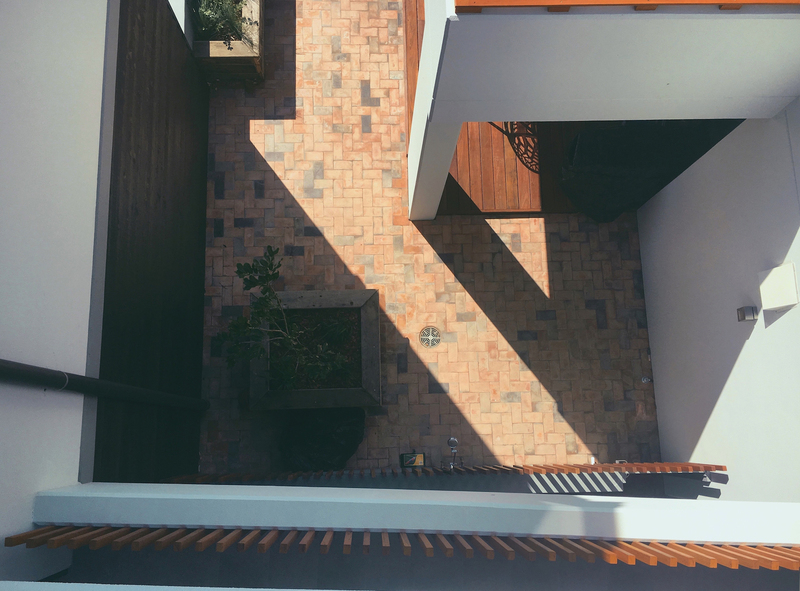 generous outdoor and indoor/outdoor spaces extend the perceptible space of residents beyond the physical boundaries of the building. there is a consistent and robust material language internally and externally, connecting the residents to the natural environment, and responding to the challenging marine context. 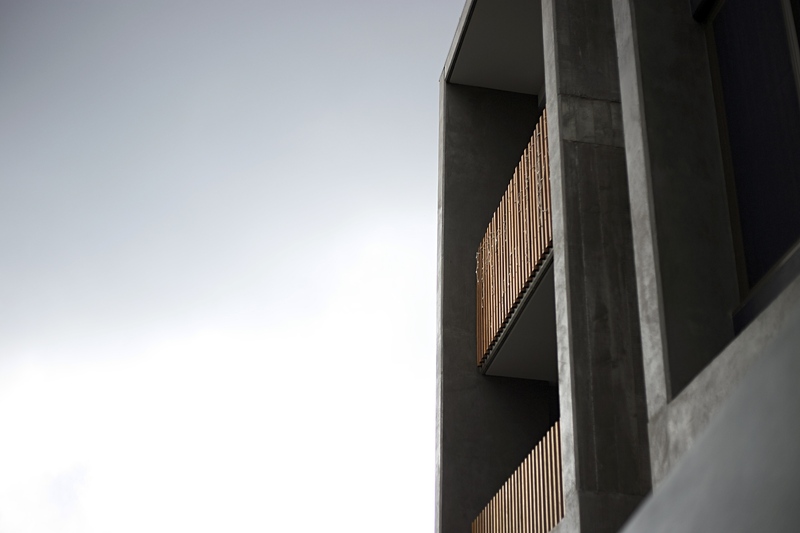 a careful composition of materials is used to respond to the climate and the prominent civic location, using a mix of exposed off form concrete, discreet metal operable screens and cladding, and fixed timber screens and accents. 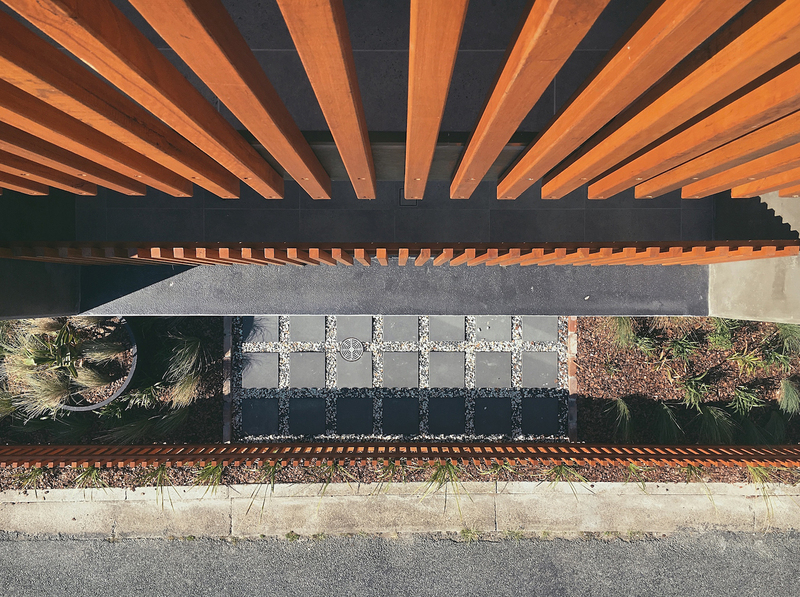 indigenous and local planting is used to soften the building’s presence and enhance connections to the natural context, which will strengthen over time as the plants grow and the external skin patinas. waterford is a contextually sensitive design, which maximises the natural attributes of the site, and aims to set a new paradigm for coastal design on the mid-north coast of new south wales.